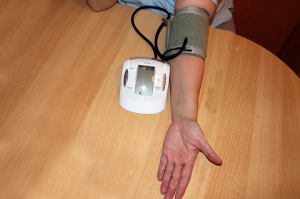 We have some good documentation for using Q10 to treat high blood pressure. Okay, yes, we have to admit to ourselves that high blood pressure is a big problem in our society. “The silent killer,” the doctors call it. What about using a well-absorbed Coenzyme Q10 supplement? What might ts impact on hypertension be? What, exactly, do we know at present? A good starting point is the meta-analysis done in 2007 by Professor FL Rosenfeldt and his colleagues (1). They set themselves the task of examining all published results from clinical trials involving the use of Q10 with patients with high blood pressure. They wanted to assess the efficacy and consistency of the Q10 treatment. Furthermore, they wanted to identify any side effects of the Q10 treatment. Rosenfeldt’s group found 12 clinical trials comprising in all 362 patients, of which three were randomized controlled trials, comprising 120 patients, one was a cross-over study, and eight were open-label studies. In the three randomized controlled trials, the most valid form of clinical trial, the results showed statistically significant declines in both systolic blood pressure and diastolic blood pressure following treatment with CoQ10. At the same time, there was no significant change in the blood pressure of the individuals in the placebo groups. This is really good news. This is relevant. Similarly, in the cross-over study, statistically significant declines in blood pressure were seen in the Q10 treatment phase of the study while no significant change was seen in the placebo phase. There were a total of 214 patients in the eight open-label studies. Also in the aggregate of these studies, there were statistically significant reductions of blood pressure values in the Q10 treatment groups. Rosenfeldt and his colleagues concluded that Q10 should be considered a therapy to reduce both systolic and diastolic blood pressure in patients with hypertension. In 2009, Professor M.J. Ho and colleagues did an analysis of three randomized placebo-controlled double-blind studies enrolling 96 patients with primary hypertension (2). They found that treatment with Q10 resulted in a statistically significant reduction in both systolic and diastolic blood pressure in these three studies. However, Ho left open the question of whether Q10 can be used to reduce blood pressure in patients with primary hypertension in the long term. Then, in 2012, in a related and relevant study, Young et al did a 12-week clinical trial with 30 patients diagnosed with metabolic syndrome (3).. Metabolic syndrome is sometimes known as Syndrome X. It is the term used to describe the condition of patients with not only hypertension but also with abnormal cholesterol, with insulin resistance, and with increased risk of blood clotting. Syndrome X is a condition that can result in heart disease. As such, it is a condition that can be seen to be “hypertension with complications.” WebMD.com estimates that between 20% and 30% of the adults living in industrialized countries could have metabolic syndrome. In the Young study, the reductions in blood pressure in the Q10 treatment arm of the study were not statistically significant when compared with the results in the placebo arm. Given these results, Young was not able to recommend Q10 as an adjunctive therapy for hypertensive patients with metabolic syndrome, at this time. All three studies reported here — the Rosenfeldt study, the Ho Study, and the Young study — did find that the Q10, typically in doses of 200 mg per day, taken twice daily with meals, was very well tolerated and was not associated with any clinically relevant safety issues. With the demonstrated safety of Q10 and with the potential benefits of Q10 therapy in mind, doesn’t it seem sensible for people with high blood pressure to approach their physicians to ask permission to take Q10 as an adjuvant treatment for a period of at least 12 weeks? Why not see if the Q10 can make a difference. Ho, MJ et al. Blood Pressure Lowering Efficacy of Coenzyme Q10 for Primary Hypertension. The Cochrane Database of Systematic Reviews, 2009, 4: CD007435. Young, JM et al. A Randomized, Double-Blind, Placebo-Controlled Crossover Study of Coenzyme Q10 Therapy in Hypertensive Patients with the Metabolic Syndrome. American Journal of Hypertension, 2012, 25(2): 261-270. ← More energy with Q10! how to solving this high blood pressure? Please review this study about Coenzyme Q10 and blood pressure.